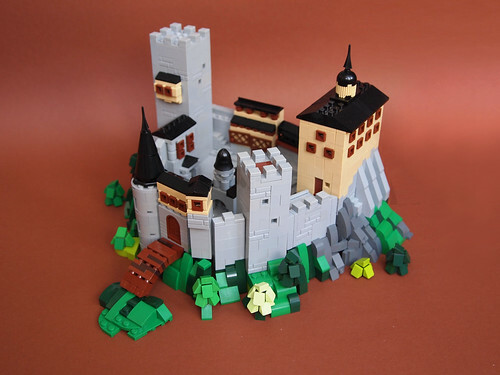 Dwalin Forkbeard unveils a rather well designed microscale castle and accompanying landscape creation. What instantly caught my attention was the excellent execution of the castle's curved walls, and the main gateway. It's also really nice to see the inclusion of the different buildings that would house important figures, considering the small scale.